Ships tomorrow if you order in the next 21 hours 36 minutes. 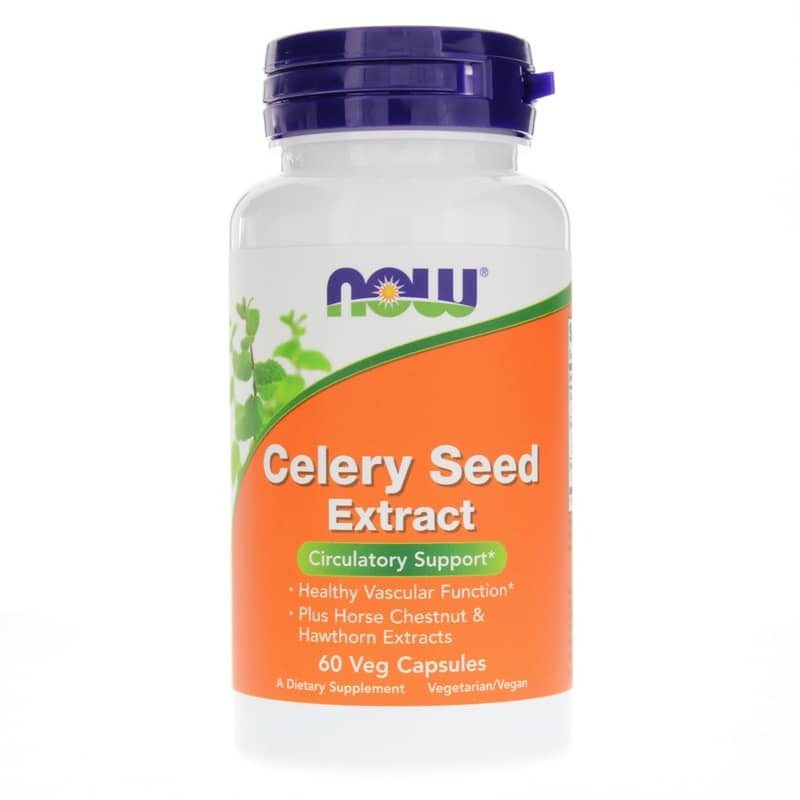 Celery Seed Extract (formerly Celery Circulation) by NOW is a natural circulation support supplement. Celery (Apium graveolens) has been cultivated as a food and used by herbalists for at least 3,000 years. More recently, scientific studies have found that Celery Seed is rich in bioactive compounds that support a healthy response. 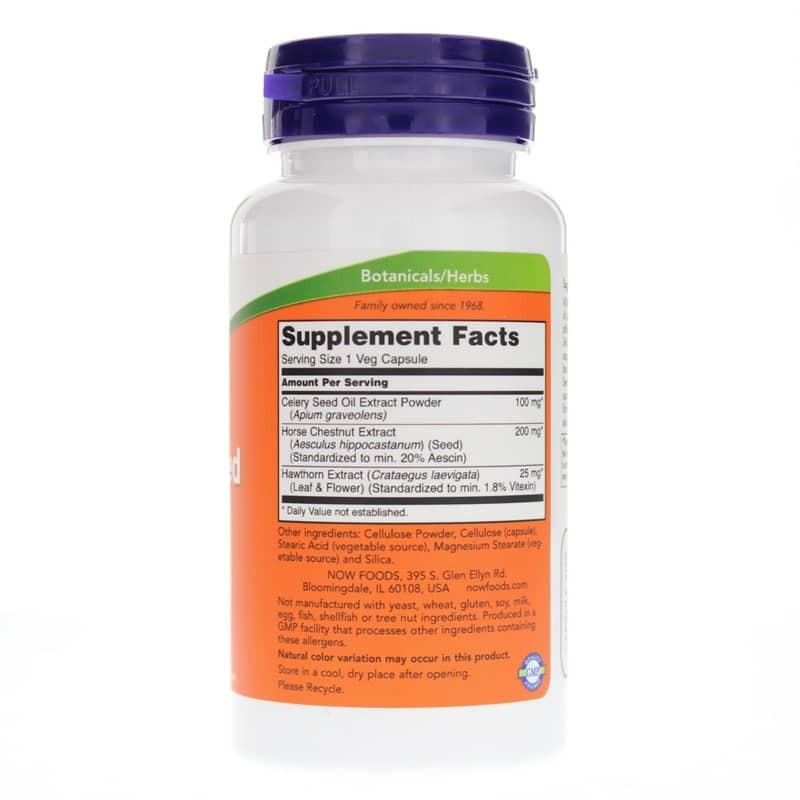 A balanced response is known to be important in maintaining healthy circulation and a healthy cardiovascular system. 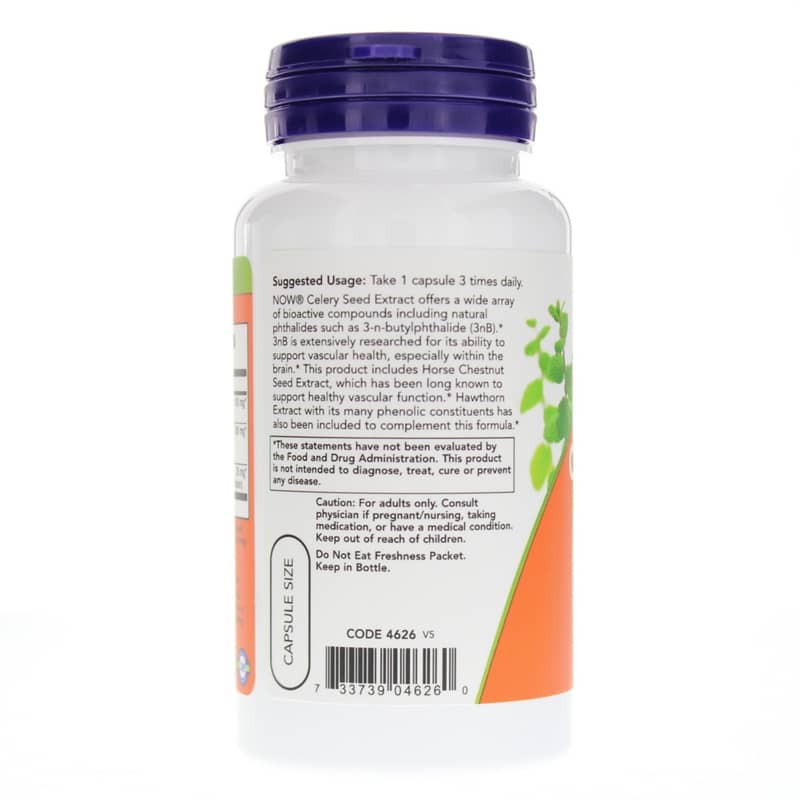 In addition, NOW Celery Seed Extract contains Horse Chestnut Seed Extract (Aesculus hippocastanum) which has been shown in clinical studies to support healthy vascular function. Hawthorn Extract has been included as a synergist in this 100% vegetarian formula. Not manufactured with: yeast, wheat, gluten, soy, milk, egg, fish, shellfish or tree nut ingredients. Produced in a GMP facility that processes other ingredients containing these allergens. Vegetarian/Vegan Product. Adults: Take 1 capsule 3 times daily.